The reopening of the once popular Greenbank pub in Easton in early 2014 was good news for an area that was largely light on decent community watering holes. The pub had been shut for a couple of years and there were rumours that the building was to be converted into flats. Thankfully, experienced publican James Savage – the man behind the acclaimed Zazou’s Kitchen range of eateries – decided to save it from the bulldozers. Savage has experience of spotting a gap in the market – see The Spotted Cow in Southville, a popular gastropub designed to complement the ongoing gentrification of the area – and was wise enough to aim the reopened Greenbank at the young professionals, yummy mummies and thirtysomethings who’ve recently been moving to Easton in droves. 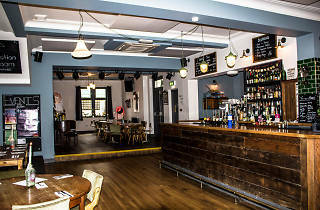 Light and airy with an eclectic seating mix (think vintage wooden chairs, booths and various types of table) and several sizeable rooms clustered around a central bar, The Greenbank is an unfussy and laid-back place to socialise. 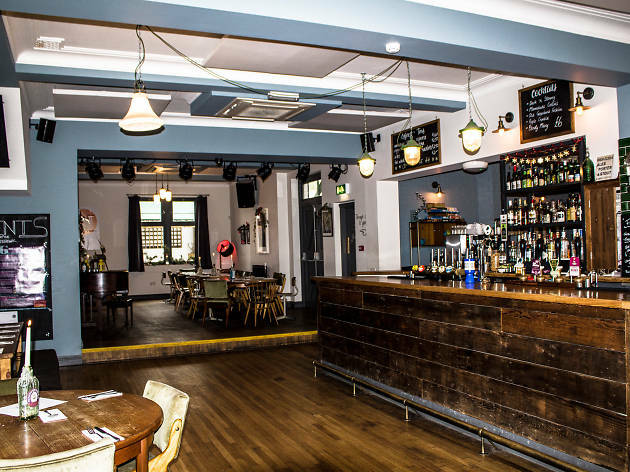 The drinks menu is impressive – a good wine list and a surprising coffee range complements an excellent selection of craft beers, real ales and ciders – and there’s just enough going on to make it feel vibrant. There are sometimes DJs at weekends, but the music is kept low to encourage conversation, and the once famous upstairs function room regularly hosts art exhibitions and meetings of local community groups. If that wasn’t enough to get the juices flowing, they also have a decent – if relatively fuss-free – food menu. Try to head down on Sunday to sample one of their popular roasts, which are among the best in Bristol. Daily 11am-midnight (till 1am on Fri-Sat). Food served noon-10pm (till 5pm on Sun).